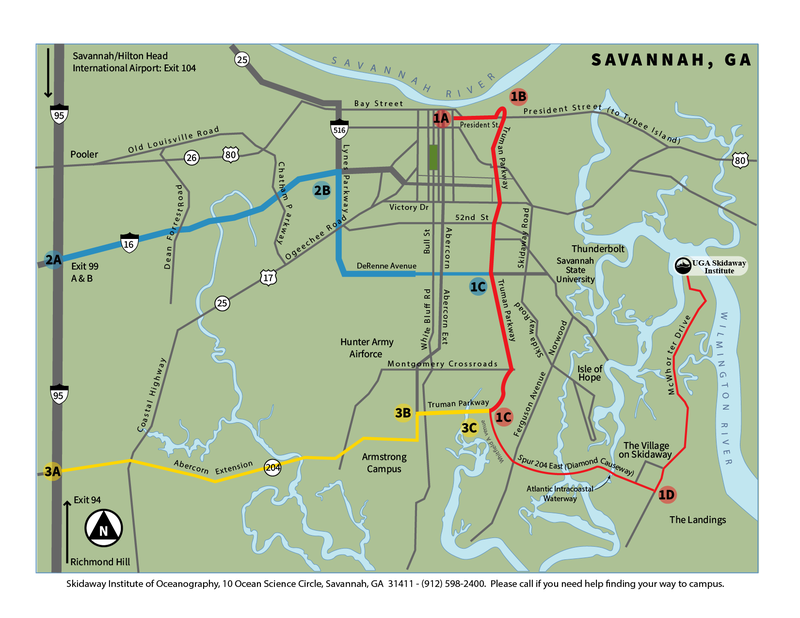 The most direct route from downtown to UGA Skidaway Institute is to take the Truman Parkway. Head east out of downtown via President Street. Just outside of downtown, you will see the Truman Parkway overpass. Turn left onto the Truman Parkway. Follow the Truman Parkway (south). Whitefield Ave becomes Spur 204 East and then the Diamond Causeway. Continue over the Atlantic Intracoastal Waterway Bridge. You’re now on Skidaway Island. Follow McWhorter Dr. to its end (4.2 miles). Half way down McWhorter Rd you will come to a fork. Stay on the main road, to the left. 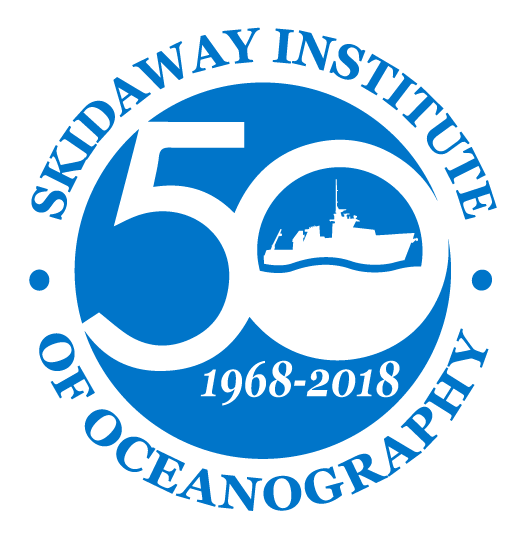 The Skidaway Marine Science Campus is at the end of the road which ends in a loop. The UGA Skidaway Institute Administration building is tan-colored brick at the far end of the loop. Follow Route 204 East towards Savannah. As you approach stop lights, Lynes Parkway becomes DeRenne Ave.
Take the Truman Pkwy to Whitefield Avenue and exit. Turn left onto Whitefield Ave.
As you approach stoplights, Lynes Parkway becomes DeRenne Ave.